Compact and powerful! The Hedler C12 Silent is designed to take halogen bulbs up to 1250W. 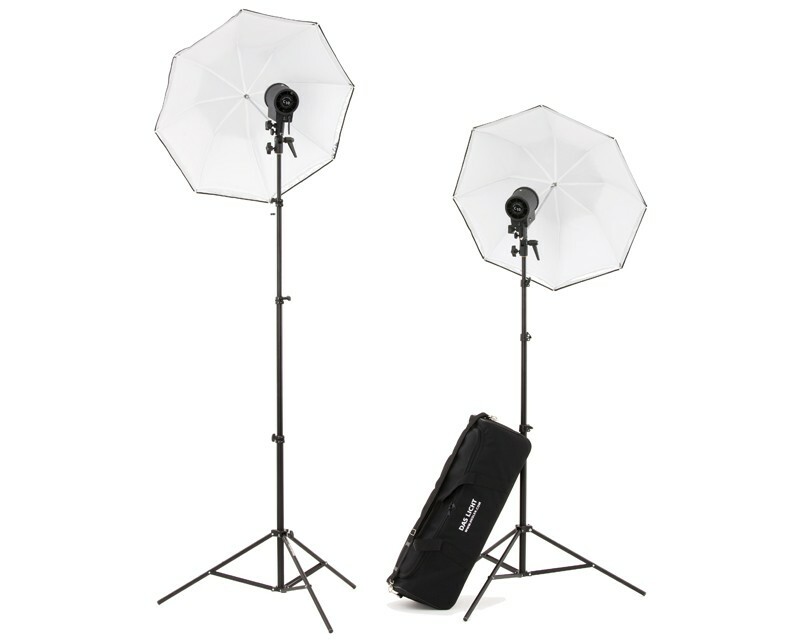 The C Kit E comes with 2 x Hedler C12, 2 x 1000W bulbs, 2 x Tilt head with umbrella holder, 1 x Umbrella White 80cm, 2 x Light stand, 1 x Bag. It is permanently fan-cooled and has a “Silent” setting for sound recording. The Hedler C12 Silent comes with one 1250 W lamp, safety glass, C-Tilting Head with incorporated Umbrella Holder and one 4-Leaf Barndoor C type.